This is Harry Mogan, Harry’s mam contacted us 14 weeks ago, as she needed help to get some equipment for Harry. 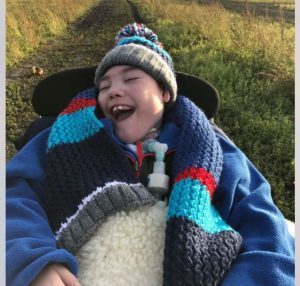 He needed a specialised bed and sensory equipment to help make every day life a lot easier. After just 13 weeks of fundraising, we raised £10k which was enough to purchase the equipment, and the bed was purchased by local government funding. This is fantastic news for Harry and his family. Harry’s mam has also offered to help other children fundraising with the foundation in the future, which is brilliant news for us.